In the slaughter of the trenches, few men could have been said to have led charmed lives. One lauded as such was John McAulay. The Glasgow policeman repelled an ambush during the Battle of Cambrai in November 1917. Surviving a tornado of machine gunfire trying to bring his wounded commanding officer to safety, he then single-handedly inflicted heavy losses on the attacking Germans who outnumbered his fellow Scots Guards. He was the only Scottish policeman to gain a Victoria Cross. McAulay, the son of a miner, and a champion wrestler in police sporting events, had joined up within a month of the start of the war. 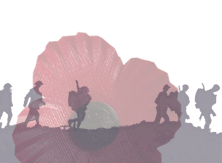 By the end of 1915, his bravery had seen him promoted three times in one day, from corporal to acting sergeant. 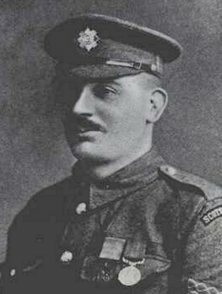 He had been mentioned in dispatches, officially listed for his bravery, in December 1916 and, in September 1917, he was awarded the Distinguished Conduct Medal for his actions in the battle of Ypres in 1916. He had taken command of his platoon after his officer had been killed, cleared two strongly-held dugouts and "accounted for several snipers". 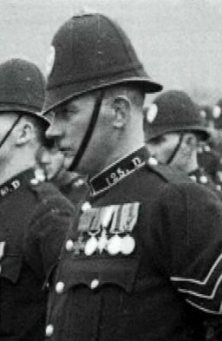 McAulay had been recommended for the DCM four times already and an officer said to him: "You ought to have got it ages ago". On 27 November, 1917, McAulay's platoon was pinned down on a sunken road by German machine gunfire. When his commander, Lieutenant A Kinnaird, was wounded, McAulay lifted him on to his back and carried him to safety amid shells bursting around him. Still carrying the officer, he rallied the men, placed Kinnaird in a shelter and seized a machine gun. He set it up in the road and, as the Germans came over the ridge, completely stopped their attack. He then carried Kinnaird another 500 yards through "a tornado of bullets, killing two Germans who tried to intercept him". Though escaping without a scratch, he is said to have "accounted for 50 of the enemy by himself". An Aberdeen journalist in the trenches recorded how McAulay learned of his award of the VC in January 1918: "A modest man... he was deafened by the cheers... fellow sergeants almost shook his arm off...the VC was mounted shoulder-high and headed by the piper, marched round and round." McAulay returned home in February 1918 and was decorated by King George V on 16 March. He rejoined the police in January 1919 and was promoted to sergeant in June that year. He had also married in April, but tragically lost his wife Isabella in childbirth a year later. The Glasgow Police War Memorial in the city's cathedral was dedicated in 1921 on the anniversary of Armistice Day. McAulay laid a wreath at the ceremony commemorating 173 city police officers who had died. He became an inspector in 1922 and retired in 1946 after 34 years' service. He died aged 67 at his home in Aitkenhead Road in 1956. His daughter, Isabel, presented his VC to the Scots Guards in 1964. In 1964, Isabel S McAulay presented her father's Victoria Cross and other decorations to The Scots Guards in memory of her late father. Credit: Scots Guards Magazine, 1964, p51, Courtesy of the Regimental Headquarters Scots Guards.